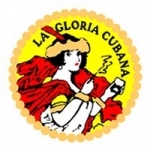 La Gloria Cubana Serie R is one of the El Credito Cigar Factory’s hottest selling offerings. The Serie R is some the best smoke La Gloria has to offer and for good reason. Colorado shade wrapper or Connecticut Broadleaf maduro is used to conceal the baffling blend of Mexican, Brazilian, Nicaraguan, and Dominican fillers. What you get is a entrée of flavors consisting of sweet, woodsy, and spicy notes that are so rich that Cigar Aficionado rated the Serie R a gracious “92” rating.